Hi everyone! This is GiGi from The Cricut Bug and I have a fun post it note/calendar box and matching coaster project to share. This would be such a cute set to put on a side table in a guest room for special company. 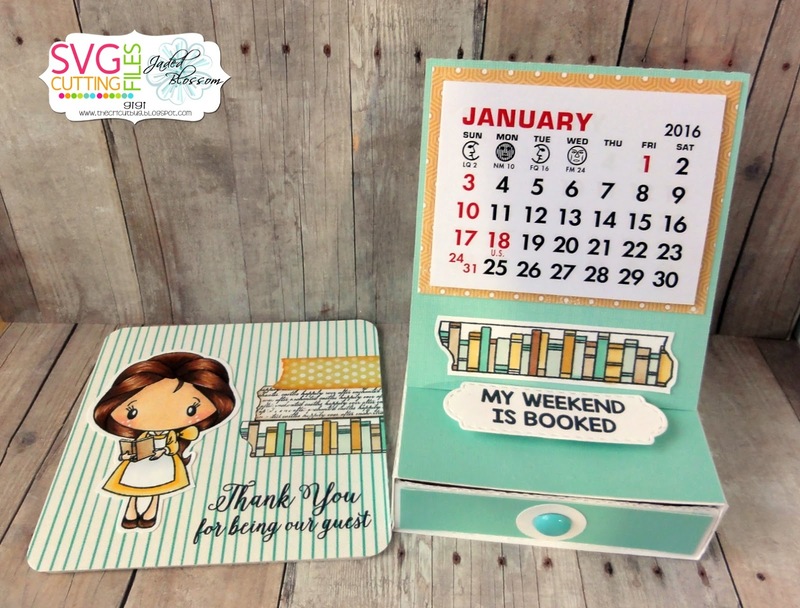 The Enchanted stamp sets were the perfect fit for these projects! 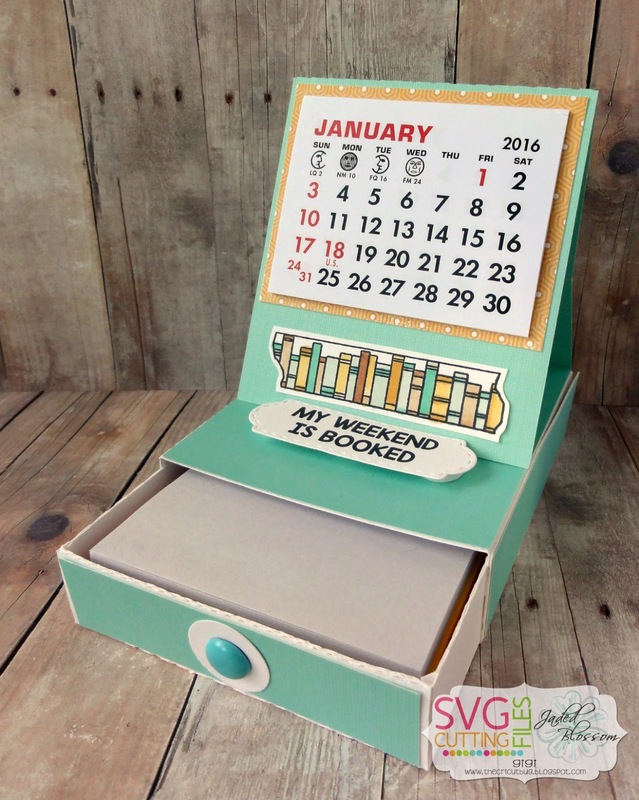 I started this project with the SVG Cutting Files Nugget Easel Drawer Box and enlarged the file so it would accommodate Post It Notes. I mounted a Calendar to a mat and then to the easel. 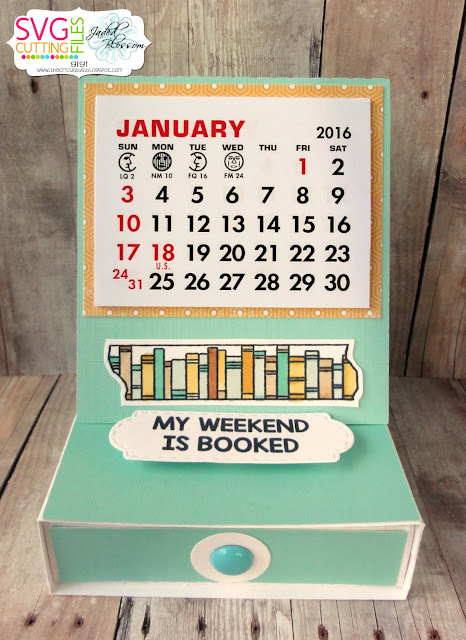 I stamped and colored the books with Copic markers and mounted that to the front as well. To keep the easel up, I cut a tag from the Mini Tag Dies 2, stamped the sentiment, and mounted it on pop dots. To finish the box, I also added a punched circle and brad for a handle on the drawer. I covered a Coaster in decorative paper and stamped the sentiment directly onto it. 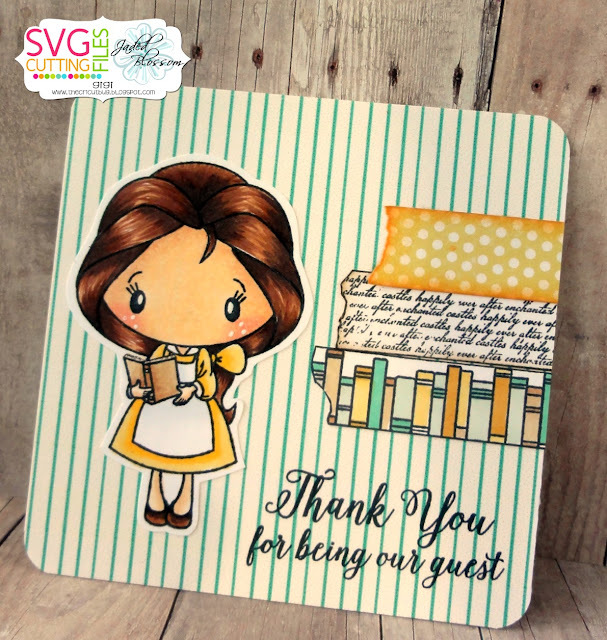 I stamped and colored the girl with Copic markers and the designer tapes, gluing them to the side above the sentiment. I hope you all liked my projects and thanks for visiting! Have a great day! eek...this is genius and adorable too!! !